Wedge wire nozzle also called profile wire screen nozzle, it has many important roles to play and is useful for filtration in various industries. 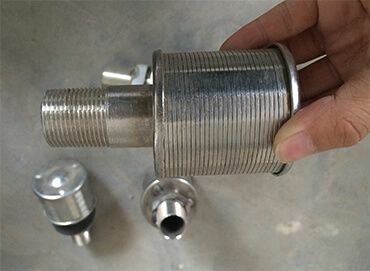 Hebei HighTop wedge wire screen nozzle is primarily used as add-ons to filtering equipment in the water petrol resin industry. That said, nozzles are also used in various industries including: water treatment, sea water conversion to fresh water plants and food chemistry filtration. This new type of filtration component is made from stainless steel material ensuring durability, and filtration precision starts from 20 microns. 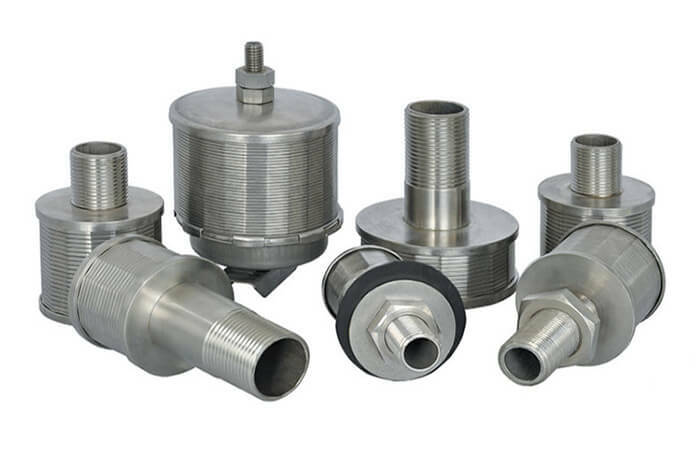 Nozzles are welded to the profile(s) on several connection areas to ensure stability. Customized materials according to client’s specification is allowed. Slot size should be a minimum of 0.020mm and less that 2500mm long. 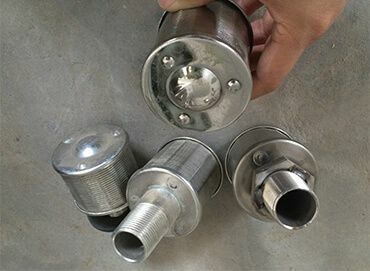 Different connectors for SS water treatment system filter nozzle is available.